CTD with Camera: After reaming (widening and smoothing) the borehole on Dec. 29th, the team met to discuss future sampling plans. We decided to send a second CTD (Conductivity, Temperature, Depth) cast to confirm the first cast’s results. To the Science Team’s delight, the CTD showed the same results as the first cast confirming the depth and uniform nature of Lake Mercer’s water column. This CTD was slightly different than the first as the Education and Outreach Team fitted this cast with a light and camera to capture video of the borehole and the never before seen lake bottom. Al Gagnon about to Deploy CTD with Deep Water Camera Attached. Photo by Billy Collins, SALSA Education & Outreach. The borehole. Photo by Kathy Kasic, SALSA Education & Outreach. WTS-LV Filter Pump and Niskins: After the CTD, a WTS-LV Filter Pump was used to measure lake current and collect particles and microorganisms suspended in the water. They found there was little to no current in the water and collected loads of particles for future analysis. Three additional 10L Niskin bottles were cast which successfully collected more lake water. Multicorer: An exciting highlight of the day was the sediment Multicorer which contains three separate coring tubes. Coring can be a very challenging hit or miss process so the team were elated to find three perfect sediment cores when they brought the corer to the surface. The team are especially excited since these cores each preserved the sediment/water interface. 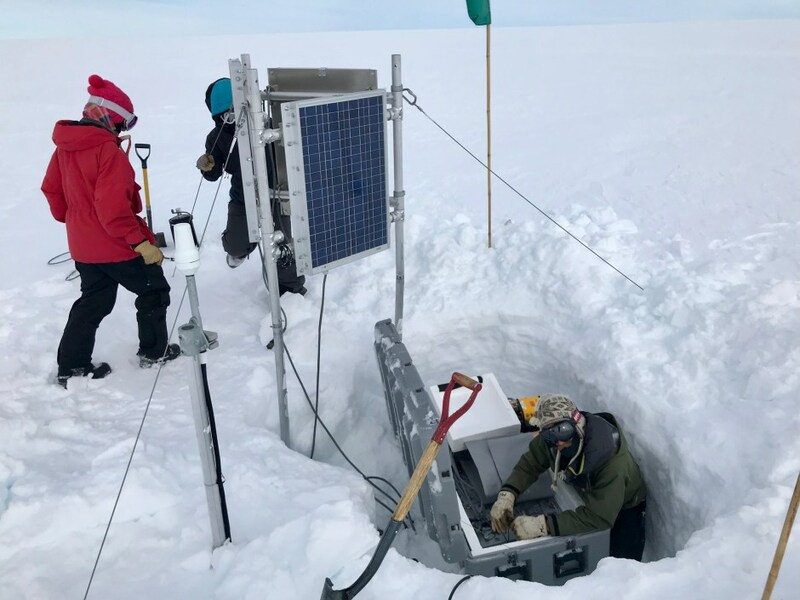 This is important because the sediment/water interface is where much of Subglacial Lakes’ biological activity occurs and where many team members will be focusing their research. A successful Multicore. Photo by Billy Collins, SALSA Education & Outreach. The team sent down a second Multicorer directly after the first. Just like the previous one, the Multicorer retrieved three perfect sediment cores. Prior to coming to our field camp, the SALSA team projected to obtain four cores in an “ideal” sampling scenario, but with six cores, the team have two extra and are very excited for analysis to begin.